The Lloyd Dining Chair Light Grey is a beautifully multipurpose model that will enhance a myriad of interior settings with its timeless retro aesthetic. Fusing comfort and class with great success, the Lloyd is a lovable design that is made to last. 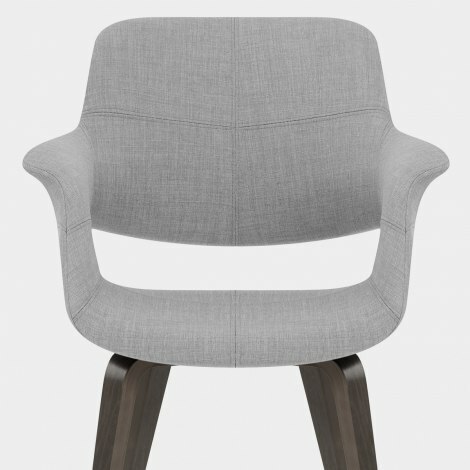 With an undeniable versatility, the seat is upholstered in a graceful light grey fabric. 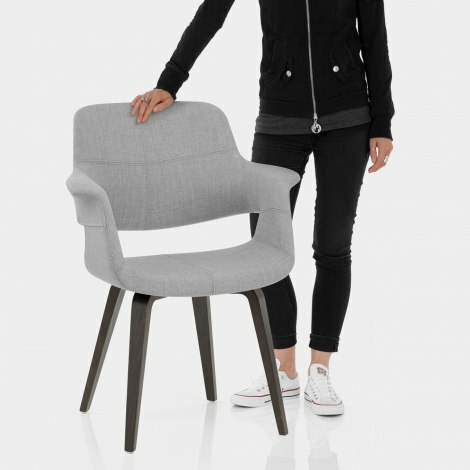 Ergonomically shaped in an all-encompassing design, the supportive backrest curves down into two adorable armrests, and is completed by decorative criss-cross stitching and a smart segment gap. Four dark wooden legs make up the solid frame, and boast a popular bentwood shape. Protective plugs on the underside of the feet are included to help prevent floors from marking, making the Lloyd a great addition to any home.